Another Journey is currently the greatest premier live Journey tribute show band that captures the hearts and minds of generations of fans everywhere with a truly realistic replication of performances by one of the world’s greatest concert acts Journey. With a repertoire spanning over the past several decades and continuing into today this is a truly amazing show. Another Journey fully captures the musical sensations of Steve Perry and Neal Schon’s led Journey band with some of their greatest hits, such as “Lights”, “Loving’ Touching’ Squeezing'” and continuing into the 80’s with “Don’t Stop Believing” as well as “Who’s Crying Now”, “Separate Ways” and many other hit songs from Journey’s past. 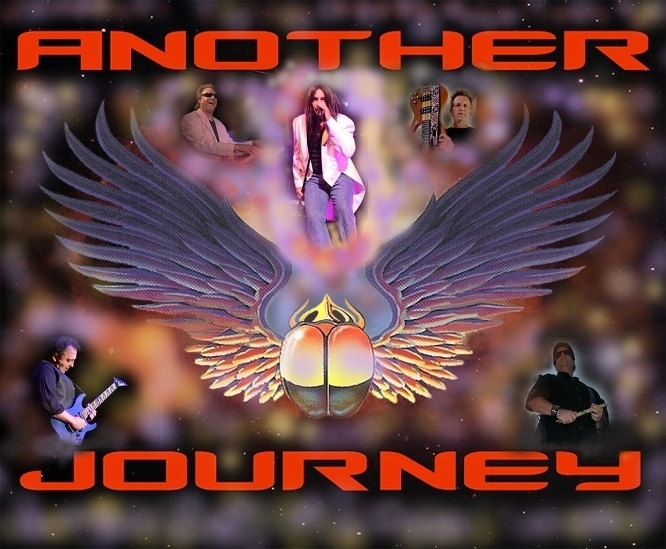 Another Journey recreates some of Journey’s most memorable live concerts over the past years with amazing individual solos and audience participation. You can book Another Journey for your next event just by clicking the "Book Them Now" button to the right and filling out the form. We will be in contact with you about their availability as soon as possible.